With paper usage having lessened in recent years, the price of printers has dropped dramatically. You can now pick up a decent all-in-one model for less than $50 and a quality laser printer for under $100. But more things being done digitally doesn’t make printers any less important — physical documents still need to be sent, photos need printing, and many businesses prefer hard copies of invoices. Then there’s the need to print things like concert tickets, shipping labels, and boarding passes. What we're getting at is that printers aren’t going anywhere any time soon. Before we get into setting up a printer, though, it’s best if you remove any unused printers from the Mac you're using. Note: If there no printers previously installed on your system you can skip this next section and jump straight into how to connect a printer. Only printers that you’ll be using need to be connected to your Mac. Unused printers take up unnecessary space and might conflict with any new device that you install. You can remove a printer manually from within Printers & Scanners or with a tool like CleanMyMac X. The latter is the preferred option but we’ll run you through both methods. Go to System Preferences > Printers & Scanners. Select the printer from the list and click on the - button. While the manual method is straightforward, it does not guarantee that all of the files associated with a printer are removed from your system. Files and documentation can be left behind, taking up space that new printers should be occupying. CleanMyMac X removes every trace of a printer from your Mac. So, remove a printer from the list in Printers & Scanners, then give CleanMyMac X a run through to rid your computer of any files that are left behind. The easiest way to do this is with a System Junk clean. This scans your system for broken and outdated files for removal. Download CleanMyMac X (for free!). Launch the app and select System Junk from the sidebar. Hit Scan and wait while CleanMyMac X scans your system. You’re all done and ready to add a fresh printer to your system. 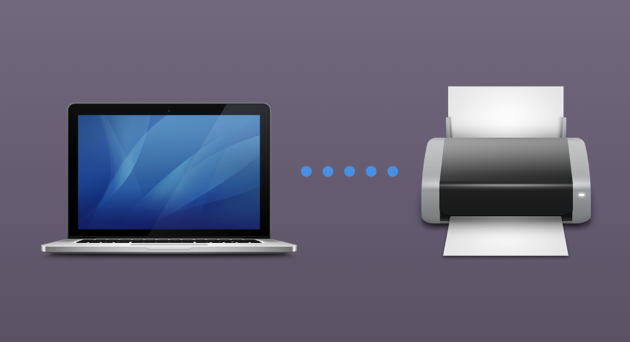 How you connect a printer to your Mac really depends on what kind of printer you’re using. If the printer is a newer model there’s every chance that it supports AirPrint, in which case you can be set up and printing in moments. If not, you’ll need the printer drivers, which you’ll have to find on your system or download from the Web. Before you can set up a printer on your Mac you’ll need to connect it to the Wi-Fi network. If the printer has a built-in display, use this to enter the name and password of the Wi-Fi network (you’ll find these details on the bottom of your main router). 1. 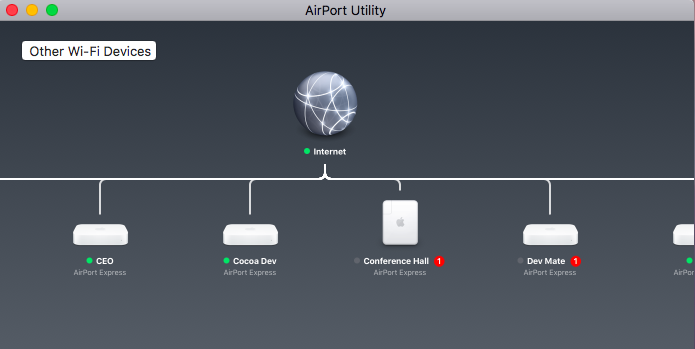 Open AirPort Utility, which is in the Utilities folder of your Applications folder. 2. Select your base station in AirPort Utility, then enter the base station password, if prompted. 3. From the menu bar, choose Base Station > Add WPS Printer. 4. Select either "First attempt" or "PIN" as the type of WPS connection to allow. Then click Continue. Go to System Preferences > Printers & Scanners, then click the + button at the bottom of the list. Leave the Default tab selected and let your Mac search for printers connected to the WiFi network. Click on your printer from the list. If the printer supports AirPrint it will show opposite Use. If the printer doesn’t support AirPrint, you’ll need to install the necessary drivers. Click on the name of the printer in the list. Click Add to download the drivers from Apple’s servers. Click Add again to add the printer. If the drivers you need aren’t available on Apple’s servers you’ll need to download them from the manufacturer’s website. Once installed, you’ll be able to add the printer from the Printers & Scanners window. You can add a network printer in the same way that you add a wireless printer. If the printer is connected by Ethernet or Wi-Fi your Mac will make it available to add from the Default tab in Printers & Scanners. If there isn’t an Ethernet or Wi-Fi option, connect the printer to a Mac on the network or directly into the router via USB and add it from Printers & Scanners that way. If a printer doesn’t show up in the Default tab of Printers & Scanners you might have to connect it via the IP tab. To do this you’ll need to find the printer IP address. You can also open up the Safari browser and go to http://localhost:631/printers/ to see a list of all printers. Once you have the IP, enter it in the Address field in the IP tab in Printers & Scanners. Give the printer a name, select the printer from the drop-down list, then click Add. To start printing to a wireless printer you’ll need to configure the printer settings. You can do this by going to System Preferences > Printers & Scanners and clicking on the printer from the list. From here, you’ll be able to set the printer as default and choose the paper size. To print, simply go to File > Print or press Command+P. Choose your printer from the pop-up menu and configure the number of copies and specific pages. Hitting the Print button will send your prints to the print queue, which automatically go to the printer. 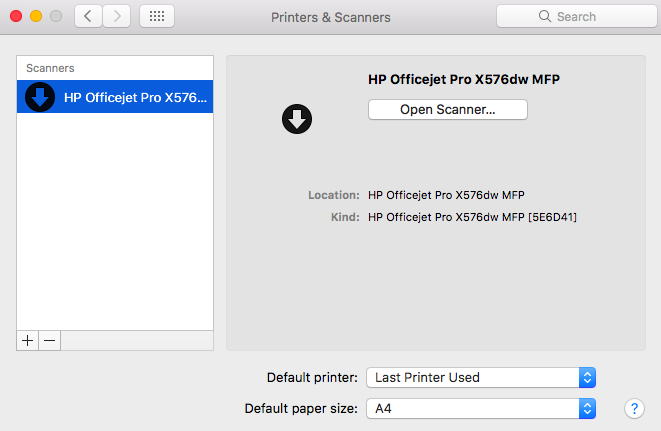 By going to System Preferences > Printers & Scanners and selecting your printer, you can open the print queue and pause, resume, or delete jobs. Here is where you can also keep an eye on ink levels. Top Tip: Before going all in with a multiple page print, test your printer by creating a test document in TextEdit. Such is the simplicity of Mac that adding and removing printers and performing printing tasks is a straightforward task. 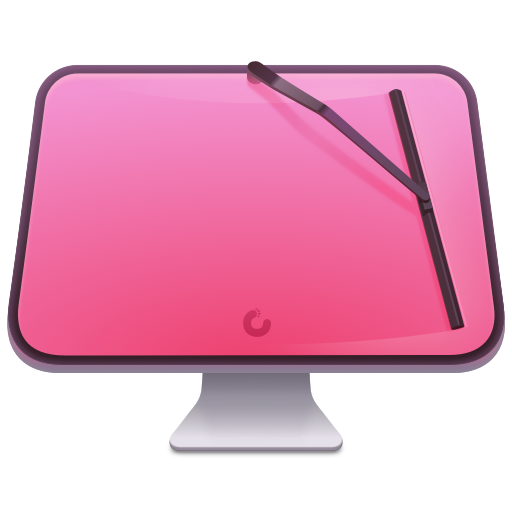 But remember: when removing a printer from your system, use CleanMyMac X to ensure all files linked to the printer are completely removed from your system to avoid conflict. 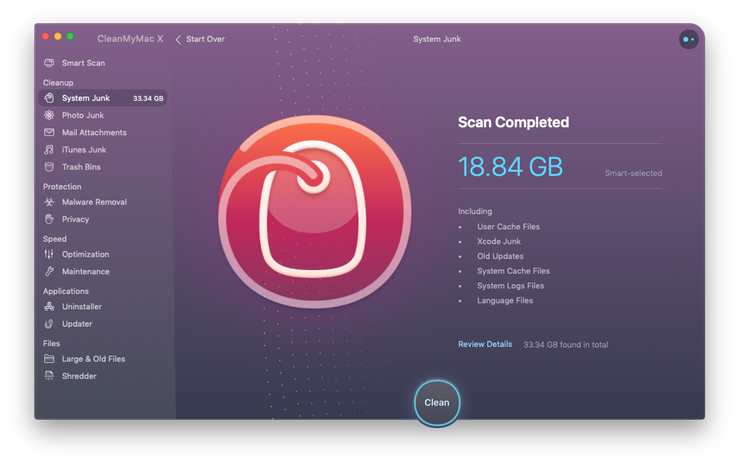 CleanMyMac X is a leading Mac utility tool developed to help you rid your system of old and outdated files in a few clicks.